Appologies If I am just missing a post to help..
A friend brought back a King from Pulaski NY area. I plan to dry cure then Hot smoke. I need to start in 2 hours so if I am off track or if there is some info I need to read I'd greatly appreaciate the help! Oh, maybe too late, but here's what I do for cold smoke - the cure bit should be OK for hot smoking. ...and yes, keep the temp as low as you can whilst getting the fish to a safe temp for eating. I'd start low and gradually work upwards keeping the smoker temp just above the internal temp of the fish. If you see white foamy residue (for want of a better description) coming out of it, it's too hot. Thanks, I ended up doing equal parts sugar and salt, about a 1/2 tbs of garlic powder and some fresh cracked pepper. Another friend plans to go out Saturday so If tonight is not a debacle i'll see about getting him to bring back one to try your version. I'll try to get some pictures smoking tonight. Going to use my propane smoker for ease of temp control- Mostlikely cherry wood since I am out of olive. Don't bother doing mine - yours sounds nicer! Can't wait to get out of work and get to the fun! Looks great, I prefer hot smoked salmon better than cold smoked anyday. With hot smoking they have a better colour as well. Crustyo44 wrote: I prefer hot smoked salmon better than cold smoked anyday. 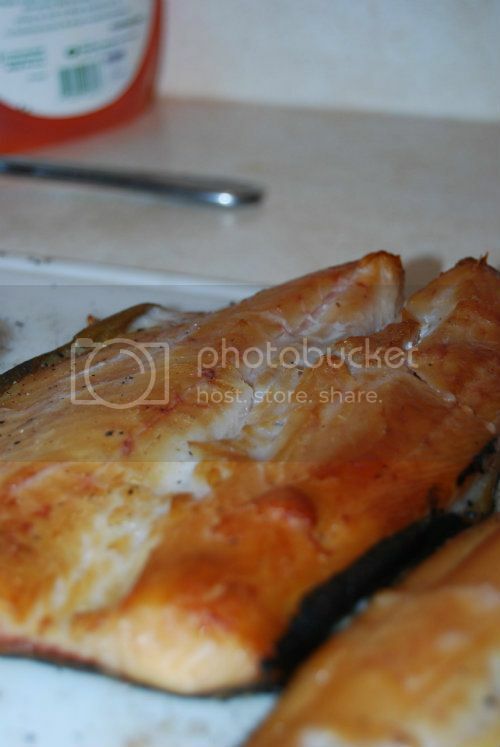 My favourite is hot smoked trout.